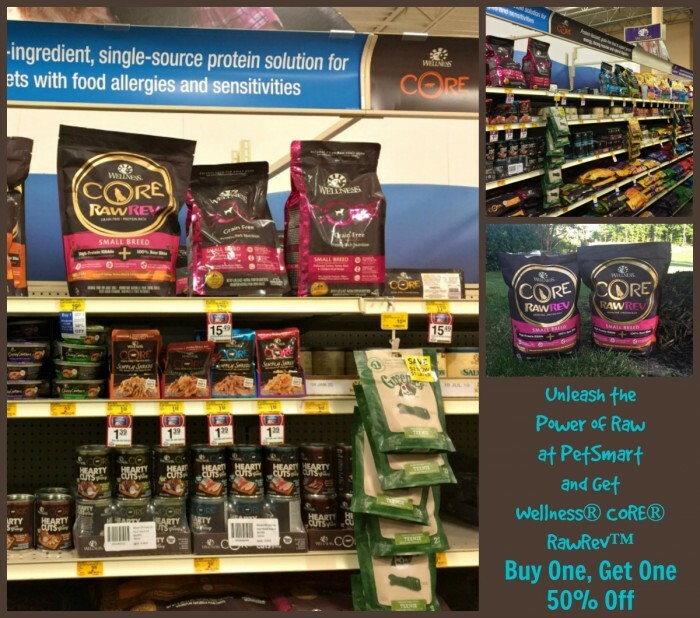 This post is sponsored by Wellness® and the BlogPaws® Pet Influencer Network™. 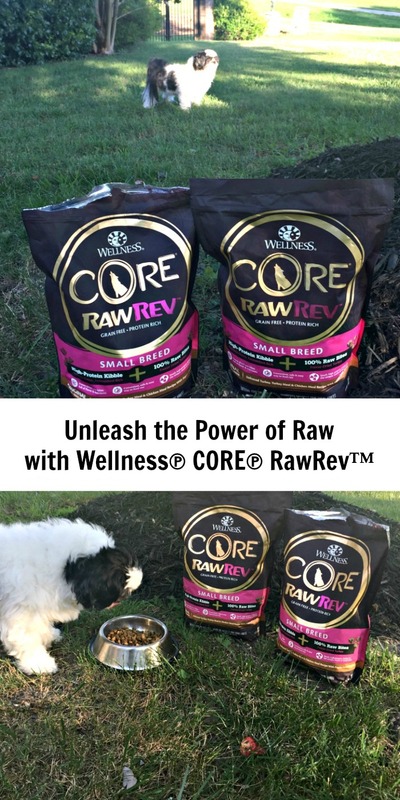 I am being compensated to help share information about the Wellness® CORE® RawRev™ raw food dog food but Blog By Donna only shares information we feel is relevant to our readers. Neither Wellness or PetSmart are responsible for the content of this article. Our Baxter is an active dog. He loves being outside, running and playing. 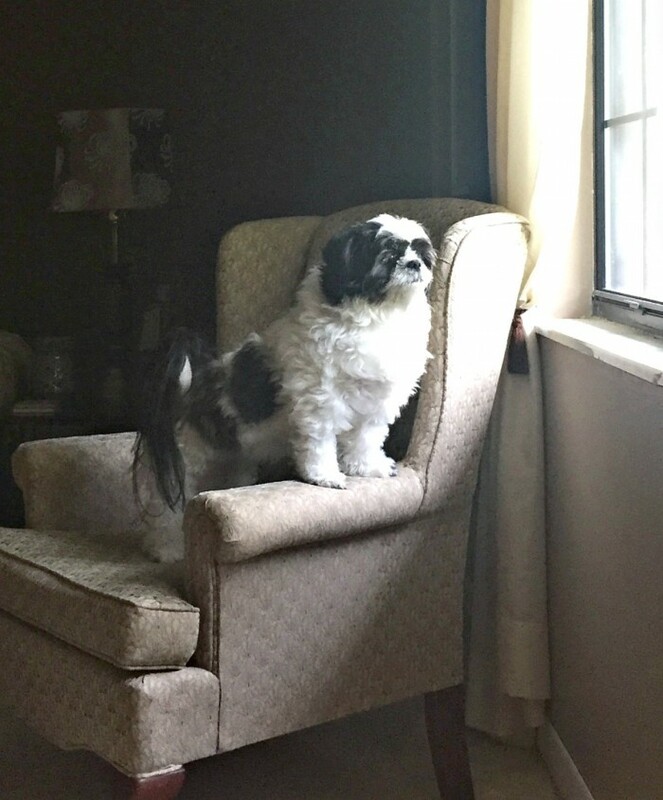 He goes to the door to let us know when he needs to go out, but when he get’s up in “his” chair and longingly looks out the window, he is telling us that he wants to be outside. To be one with nature! It’s important to us that Baxter has lean body mass and muscle tone, that he is strong and healthy. We want him to be able to run amok to his little heart’s content. Which is why we like feeding him raw food. Raw food is a wonderful source of protein and protein is very important for dogs. 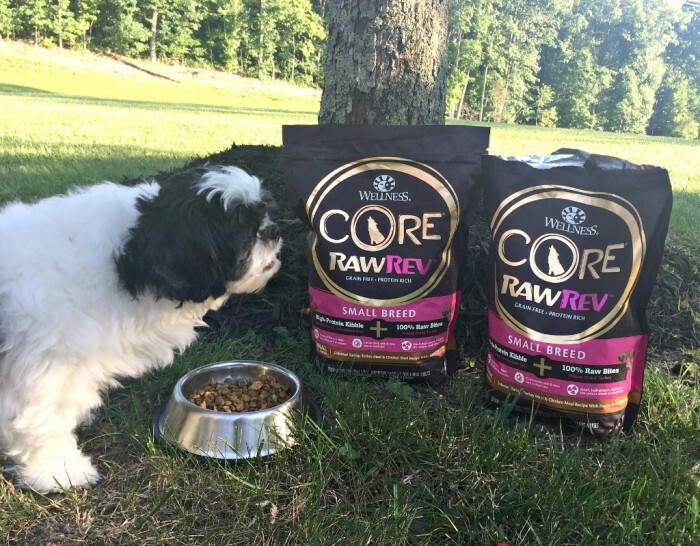 RawRev is a 100% grain-free kibble with 100% raw meat pieces that creates a savory nutrient-rich meal so your dog can thrive from their core. It’s the raw nutrition your dog craves. They only use high-quality ingredients so our dogs can live longer and happier lives. 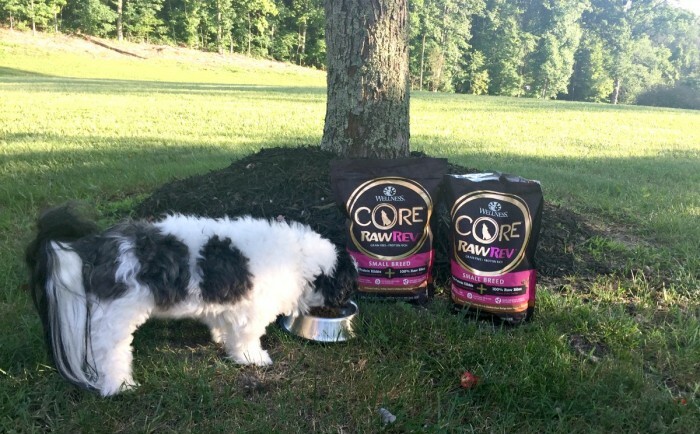 Core RawRev is an easy, safe, and convenient way for you to add raw food into your dog’s diet. The raw bites are freeze dried, 100% real meat, zero fillers. 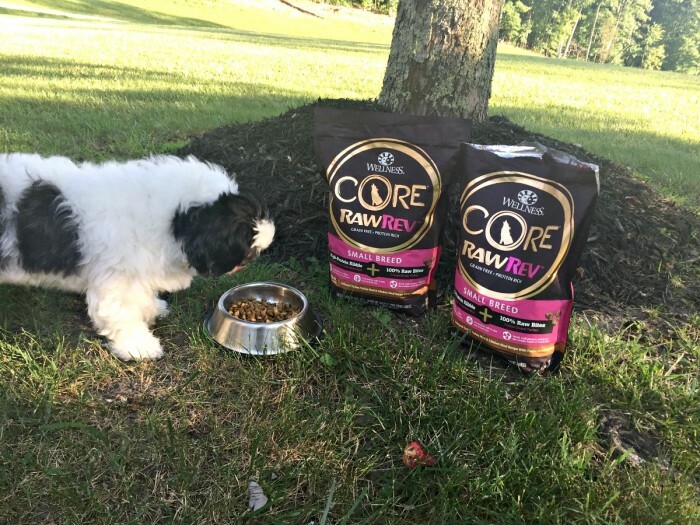 Real raw food that is good for your dog. I know I can feel good knowing I’m giving Baxter the best raw food possible. As a member of our family, I want to feed our pup good quality food just like I do for the rest of my family. I love that RawRev supports Baxter’s whole body health for a longer life and that it contains Glucosamine and Chondroitin for strong joints. This is especially important as our dogs age. Buy One, Get One 50% OFF at PetSmart! RawRev comes in three formulas. 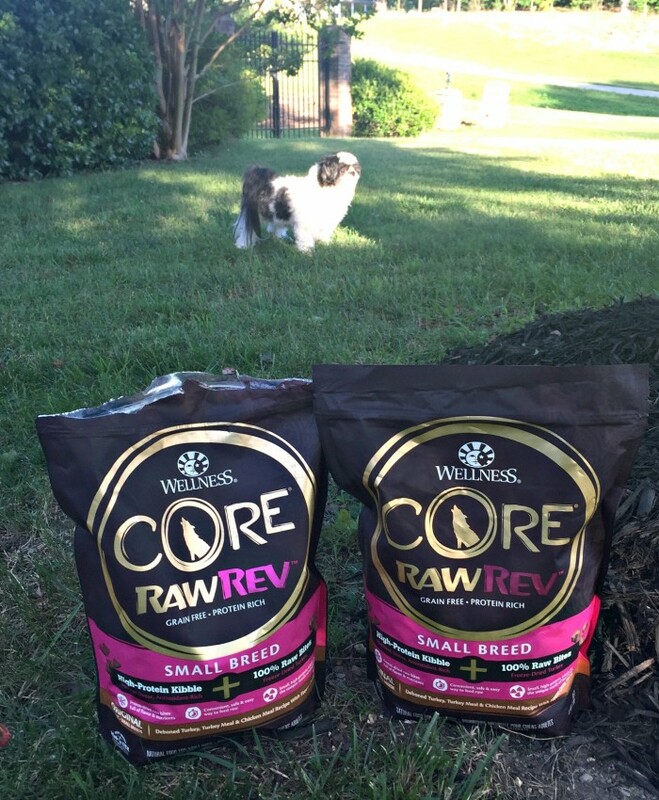 Since Baxter is a Shih Tzu, a small breed dog, we buy him Wellness Core RawRev Small Breed formuala. …That’s a savings I can’t pass up! How about you?